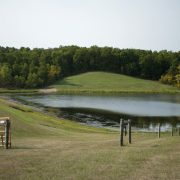 https://iowafloodcenter.org/wp-content/uploads/2019/04/Beautiful-Pond.jpg 2669 4256 Breanna Shea https://iowafloodcenter.org/wp-content/uploads/2018/02/Full-Color-Middle-Wave-Transparent.png Breanna Shea2019-04-18 12:50:452019-04-18 12:51:20How do we live with the new reality of flooding in Iowa? Should the Iowa Legislature approve funding to help with the state’s spring flooding? https://iowafloodcenter.org/wp-content/uploads/2018/02/Full-Color-Middle-Wave-Transparent.png 0 0 Mikael Mulugeta https://iowafloodcenter.org/wp-content/uploads/2018/02/Full-Color-Middle-Wave-Transparent.png Mikael Mulugeta2019-04-09 11:25:322019-04-09 11:50:47Should the Iowa Legislature approve funding to help with the state's spring flooding? 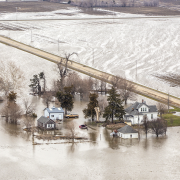 Des Moines – Senator Rob Hogg (D-Cedar Rapids) and Senator Jackie Smith (D-Sioux City) today proposed a $50 million disaster relief and recovery plan to help Iowans following the Flood of 2019. 1. Small Business and Farm Continuation Disaster Grants: $10 million. These grants would give eligible farms and businesses who have sustained property damage from the Flood of 2019 and who commit to continuing to employ their employees $1,000 per month per employee, up to $10,000 per month, and for up to five months. 2. Supplemental High Quality Jobs Appropriation for Disaster-Affected Businesses: $5 million. Disaster-affected businesses are currently eligible for the High-Quality Jobs program, but only $4.7 million remains in the fund for the rest of this fiscal year. This supplemental appropriation would give the Iowa Economic Development Authority an additional $5 million to help disaster-affected businesses. Disaster-affected businesses would be eligible under the current rules for economically-distressed counties, regardless of the county where they are located. Disaster-affected businesses could apply for both the High-Quality Jobs program and the Small Business and Farm Continuation Grants. 3. Disaster Recovery Revolving Loan Fund: $10 million. This revolving fund would allow cities, counties, and non-profits apply for loans for uses that are not covered by federal disaster recovery funds. These would be no interest loans. They would be repaid over 20 years starting two years after the loan is made. Repaid funds would be available to help other cities, counties, and nonprofits in future disasters. 4. Fund the existing Iowa Flood Mitigation Program for flood hazard mitigation grants: $24 million. This bill would provide funding for levee repairs and improvements, infrastructure projects, and other flood hazard mitigation projects under the existing Iowa Flood Mitigation Program that was approved in 2012 but has never been funded.